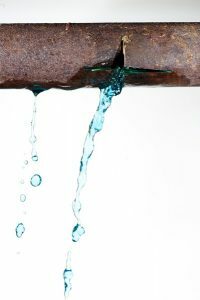 How Video Pipe Inspection Protects Your Plumbing | Brooks Plumbing Co.
Sure, some plumbing issues can be resolved with a good, old fashioned plunger and a couple of flushes. However, not all plumbing problems can be resolved that easily. Some issues lie deep within your plumbing system, which is much more intricate than you might think. The majority of your plumbing system is hidden beneath floors and behind walls, so pipes aren’t always so easy to reach, making it quite difficult to diagnose deep clogs and leaks. So how do plumbers do it? With the use of the latest plumbing technologies, plumbers are able to detect and diagnose problems without having to tear apart walls and floors. Video pipe inspection is one method that trained plumbers have been using for the last few years to find issues that might have otherwise gone unnoticed. With regular inspection, homeowners no longer have to wait until disaster strikes to know that there is a problem brewing in their plumbing systems. Keep reading below to learn more about video pipe inspection. The process of video-pipe inspection is simple in theory but does require the hands of a trained plumbing expert for it to be done correctly. Here at Brooks Plumbing Company, our plumbers will bring the latest CCTV cameras along with a monitor to your home to perform a video camera inspection of the clogged or damaged pipes. Basically, a very small digital camera with a very bright light is attached a thin, flexible rod. This rod is then sent down your drains and snaked throughout your plumbing system. A plumber will carefully watch the monitor to find the source of the problem you may be having. Accuracy: Video pipe inspection allows plumbers to pinpoint the exact location of a leak or clog. Before this technology, plumbers would have to blindly use drain augers and drain openers. Now, plumbers can actually see the problem and determine how serious it is. Plus, once the problem is resolved, this technology can be used to see if the job was done correctly. Protection: Video pipe inspection may also be used as a proactive measure as part of regular maintenance services. During maintenance, a plumber can use this technology to spot and correct minor issues before they become major. Savings: When problems are detected early, you’ll less likely end up spending your money on costly repairs and water damage. Video pipe inspection is a job that must be done by a professional. Only a trained plumber has the equipment and training necessary to perform this type of inspection for your plumbing in Rainier, WA. Our plumbers here at Brooks Plumbing Company are highly trained and experienced in performing video pipe inspection. Plus, we carry the very latest video camera inspection equipment. When you call us to inspect your plumbing, you are going to receive the highest level of service we can provide. To schedule your video pipe inspection service, contact the experts at Brooks Plumbing Company.